Chocolate - the word itself conjures up instant images. What did you think of when you read it? Your favorite candy bar? Or perhaps that slice of chocolate mousse cake you had as dessert the last time you ate out. I think of opening a box of assorted chocolates and trying to figure out which one to start with, they are all filled with such promise. Yes, people the world over have had a love affair with chocolate that has spanned the ages. The earliest record of chocolate is linked to the Mayans in 600 A.D. when they established the first cocoa plantations in the Yucatan. However, it has been argued that it was considered a valuable commodity several centuries before this date. In my research on chocolate, (I actually read about it rather than just eating it, although who is to say which is more valuable? ), I found some interesting data I would like to share with you. It shouldn't have surprised me that the names we associate with chocolate - Lindt, Van Houten, Cadbury, Hershey and Nestle were the pioneers in the making of edible chocolate. Before the 19th century chocolate was only taken as a drink. From the bittersweet drink of the Mayans and Aztecs to the sweetened drinks served in English "Chocolate Houses" of the 1700's, chocolate was considered a commodity only for the wealthy. 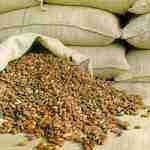 Since cocoa beans were used as currency among all nations, it was literally like drinking money. By the early 1800's plans were underway to change all that. C.J. Van Houten, a Dutch chemist and chocolate master squeezed out cocoa butter from the beans, which made the cocoa more soluble. Once this process was developed it was easier to make chocolate in soluble form. You've probably heard of Dutch cocoa or "dutching." Rodolphe Lindt was the brilliant Swiss man who thought to add cocoa butter back to the chocolate. Adding the cocoa butter helped it set into a bar form as well as making it melt on the tongue. He also invented "conching" which is a means of heating and rolling chocolate to refine it. He is credited for making the first fondant. It was another Swiss, Nestle, who came up with adding condensed milk to chocolate. Both these pioneers created the flavor of Swiss Milk Chocolate, which is still enjoyed today. What is it that makes up the differences in the various chocolates we find on the market today? It seems that every country has its own flavor. Why is Belgian considered the king of chocolate? 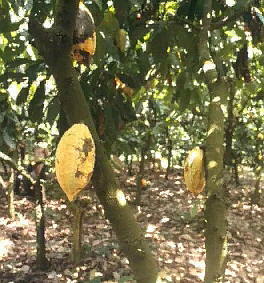 Of course the selection of good cocoa beans is one of the primary factors. Just as coffee beans vary, so do the cocoa beans. The Belgians pride themselves on the long gentle roast they give the beans, which contributes to the smooth flavor. The amount of cocoa liquor in the chocolate and how long it "brews" are other factors which add up to flavorful chocolate. As with any thing of quality, it's the raw materials, the recipes and refinement in techniques, and the dedication to creating the best product possible that works every time. Now cocoa is processed the world over. With importing and exporting being what it is, finding good quality chocolate is easier than ever. Belgian chocolate is used by chocolatiers around the world. The technology has progressed so we have numerous companies to choose from when buying great chocolate rather than just the few elite. Which of course makes my job even more difficult - more and more chocolates to try! I recently found some wonderful Irish chocolates, (not a country known for their chocolate) that I will soon have in our shop as well as some from Israel that should be in the country around April or May of this year. I now have in our shop Roger's of Vancouver, which has been an institution in Canada since the 1800's. I was so impressed when I received a sample, I ordered it the same day - and it promptly sold out. One thing I have discovered in my quest for bringing the best to our customers is that we do have one of the finest selections of chocolate anywhere. We have just started carrying l'Artisan du Chocolate; classic French truffles now being made in Los Angeles. Leonidis is manufactured in Belgium and flown in fresh weekly. Their creams are the best we've ever tasted. Another of my favorites is the Scharffenberger bar - simplicity at its best, one solid bar of perfect bittersweet chocolate. I don't even have time to go into the Tour d'Argent, Grand Finale, Lindt, DeGranville or our famous chocolate covered dried bing cherries. After all this talk of chocolate, I think it's time to stroll over to my chocolate shelves and sample a few. 1. Which country consumes the most chocolate per capita? 2. How many cows does it take to provide enough milk for one day's production of Hershey's chocolate at the Hershey, PA plant? 3. How many Oreo's are consumed in the world in one day? 4. Some of the early chocolate manufacturers were Cadbury, Hershey, Rowntrees, and Frys. Aside from chocolate, what did they have in common? A. They were all established in England. B. They were all run by Quakers. C. They were all bakers by trade before seeing the potential of chocolate. D. They were all accused of stealing Swiss chocolate secrets. 5. 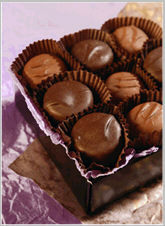 Which is Terry and Wally's (founders of FanciFull) favorite chocolate?